Now, for those I have not lost, do enjoy this wizzle on metal mandoline slicers. You might find one you just "have to" have. 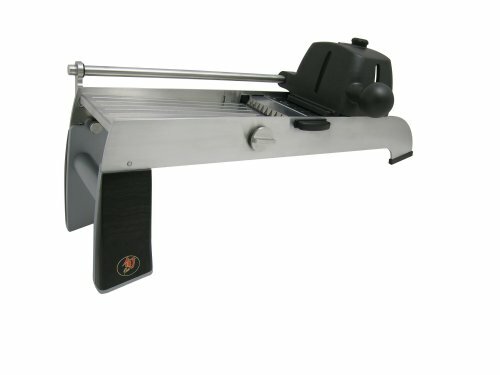 What Is a Metal Mandoline Slicer? Mandoline slicers help us slice food without wasting food. You might say they are what a knife and cutting board wish they could be. You might also say I make silly analogies, assigning animate traits to inanimate thingies. You would be right about both. 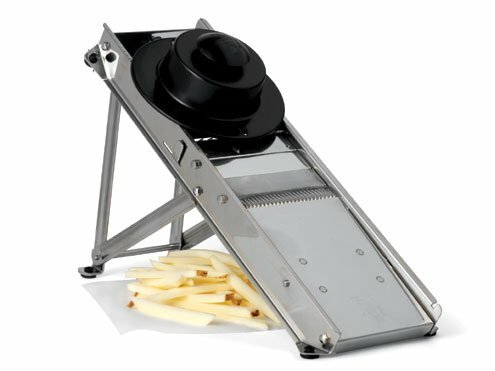 Nonetheless, metal mandoline slicers are the slicers of the gods! They don't call it "heavy plastic music"! (now, that is a silly point, I admit). Bron 16-in. Super Pro Mandoline. Styrofoam -- which is not tasty! Not your fingers -- be careful! My favorite dish brought to life by the output of a metal mandoline slicer is a nice piece of broiled fish, garnished with onions, and lemons. Yummy! Any of the metal "slicers a la mandoline" (forgive my goofiness, please) shown on this page would well do the job of helping you prepare delightful dishes for you and yours. 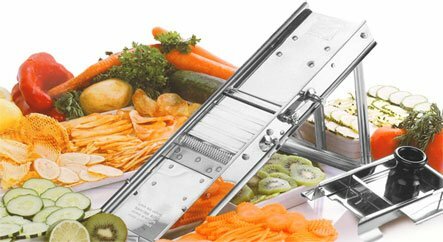 If you make an awesome dish using vegetables or fruits from a metal mandoline slicer, please share it with me (and the world) in the comments on this page. I would love to learn of it. Thank you.